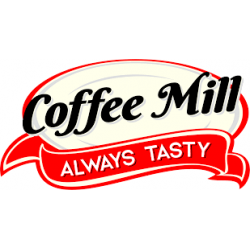 BLACKCURRANT CHEESECAKE by Coffee Mill: Cheesecake..
COCONUTMILK MOCHA by Coffee Mill: Moka al cocco - .. FROZEN BERRY BLAST by Coffee Mill: Un connubio di ..
GLAZED POPCORN by Coffee Mill: Popcorn glassato - ..
ROASTED CARAMEL LATTE by Coffee Mill: Latte al car.. STRAWBERRY LEMONADE TEA by Coffee Mill: Tè alla li..